Tomorrow night Balazs and I are having a few friends over for a pre-Halloween (scary) movie night. 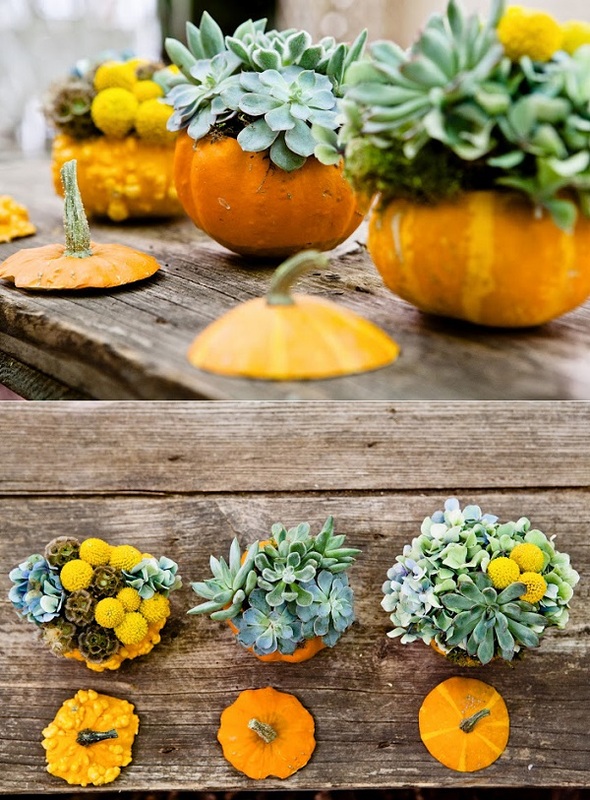 While looking for fun ways to decorate the dinner table, I stumbled upon those beautiful succulents potted pumpkins that would look great on any occasion including even Thanksgiving. 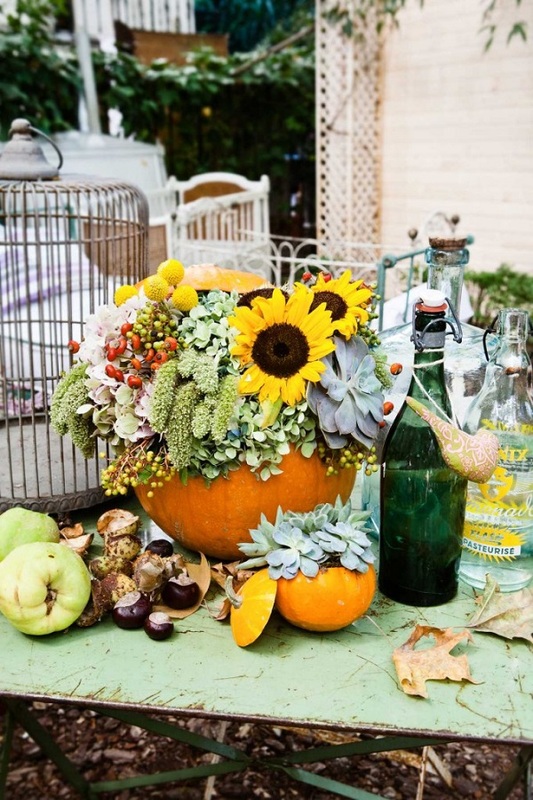 P.S: Six quirky takes on jack-o'-lanterns. P.P.S: The best Halloween costumes - ever! what a cute way to make a festive decoration! Though I have terrible luck with succulents. All of mine died! 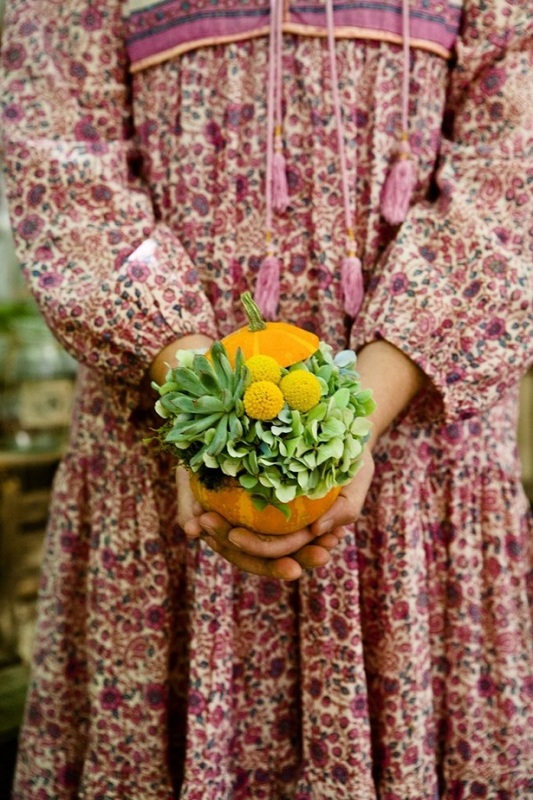 What a fantastic idea, I love the green and orange together!